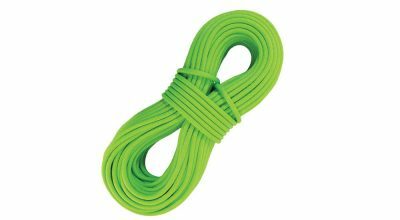 Field test review of Trango Diamond 9.4mm climbing rope. Your rope is one of the few pieces of gear you can’t back up. It has to be light, provide a soft catch and never fail. Climbing ropes are marvels because they all fulfill the above list of obligations. Rope reviews, then, are more about which qualities you prefer, rather than an assessment of whether a given cord works. For me, durability, weight and cost are the most important considerations, and the Trango Diamond pretty much fills the bill. Finally, at $194.95, the Diamond is in the ballpark for similar ropes that are made in America—some cost a bit more, others a bit less. 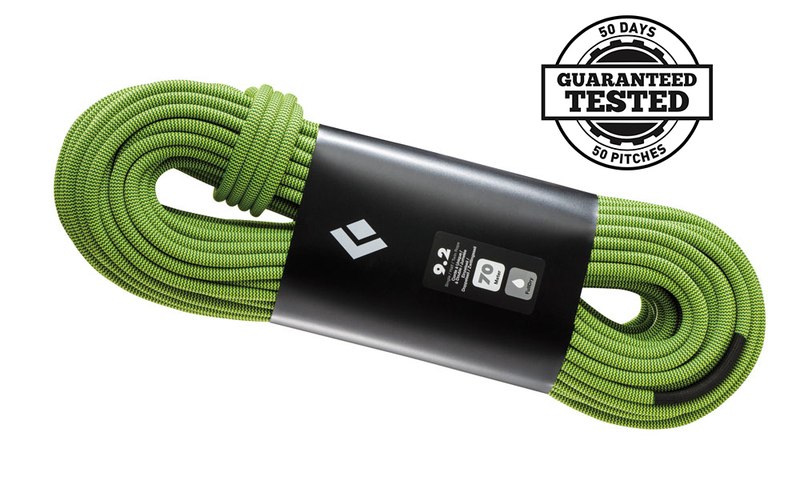 About the rating: I gave the Diamond four stars because this rope performs all the essential functions expected of a climbing rope and goes a step further by exhibiting excellent durability and resistance to cutting. The only demerit is the fact that the Diamond is 100 to 200 grams heavier than its American-made competition. • A little stiffer hand. • No noticeable sheath slippage, even after a year. • Weight: 59.1 grams per meter. • Dynamic Elongation: 34 percent. • Static Elongation: 5.6 percent.